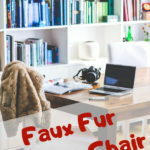 There are TOP 5 options of stylish faux fur office chair that perfect accent to home office and add some fun to your workspace. They also make a unique addition to a bedroom or a dorm room. The elegant black oak cube storage organizer is ideal pick for keep school bag and study supplies in tidy way. You may need one for your kid to help them grow with good habit of keeping personal belongings neatly all the time. DIY VW school bus cardboard stationery organizer is fun during the process and yet it can be a functional item for kids or keep it as collection for Volkswagens fans. 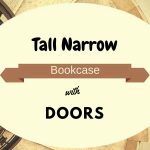 Tall narrow bookcase with doors is ideal furniture to keep books in a room where space is a concern. These five options presented here look elegant and yet fulfill the requirements. 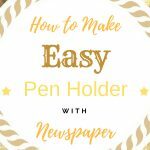 My son found a video of how to make easy pen holder with newspaper and we were happy to see him utilize waste materials for DIY project and turn it to be daily use stuff. Thanks to this beige wood book storage and display desktop organizer which makes my son’s study desk looks tidy now. 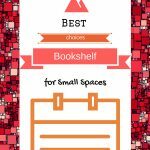 The best bookshelf for small spaces not necessary looks stylish but must practical and manages to hold as many books as possible. 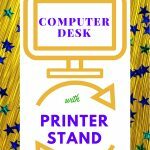 The furniture that I spent the most time choosing was a computer desk with a printer stand. These pieces of furniture either feature a tower type workstation or come with bigger table top and a cabinet.